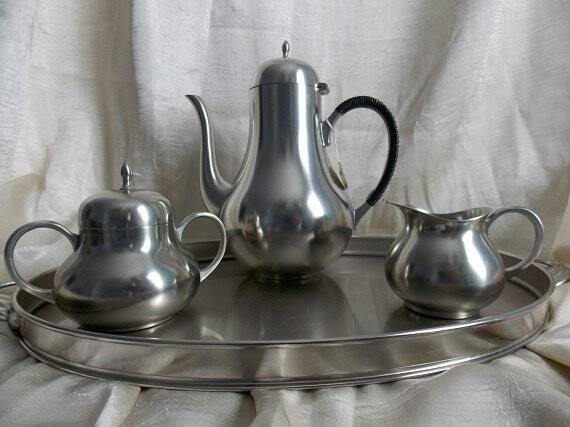 This vintage pewter coffee\ tea set was made by C. Kurz & Co in Tiel, Holland. 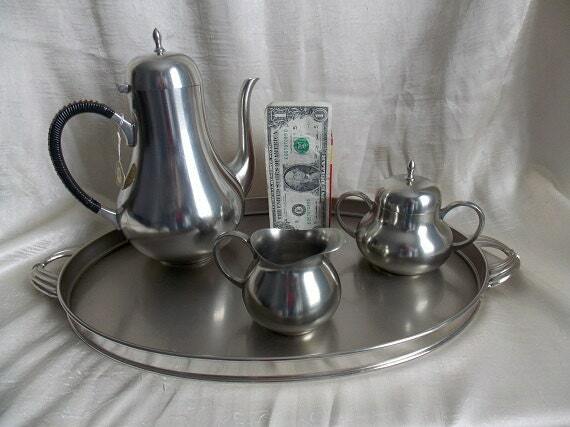 It consists of a tea \ coffee pot, an oval butler serving tray, creamer and sugar. It has an art deco design. The tray has smooth polished surface with a lined pattern on the handles. The tea\coffee pot has a hinged lid that is fully functional. The handle has a black and white (cream) wrapped handle. The sugar bowl has a removal lid. This is has a nice weight. 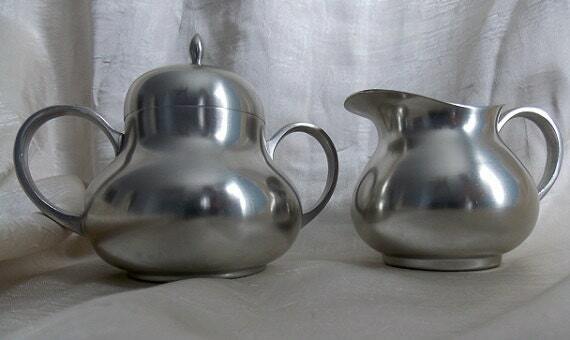 The coffee/tea pot, creamer, and sugar is stamped on the "Etain Pur/Tiel/Holland/Real Pewter" and a "C K Co" logo. There is a sticker on the bottom of the creamer and sugar that read "Edeltin." 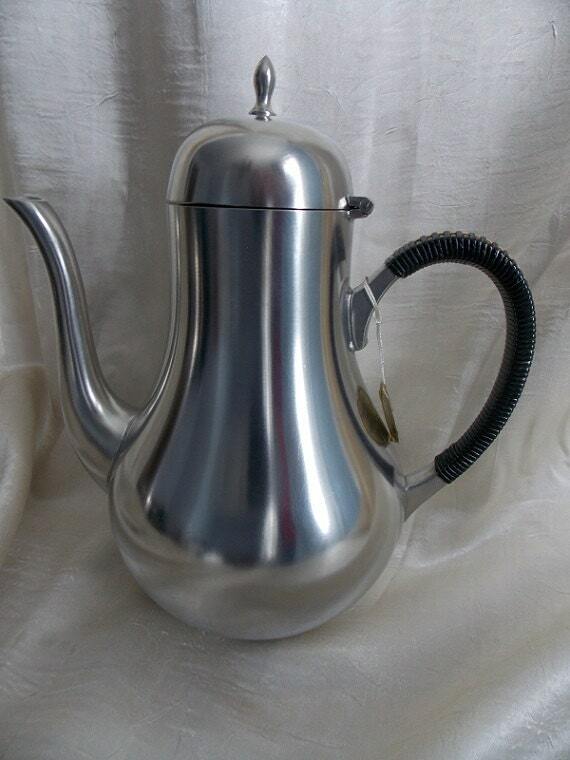 On the handle of the coffee\tea pot is a tag that reads ""C. Kurtz & Co./ Edeltin/Tiel Holland." The tray is unmarked. 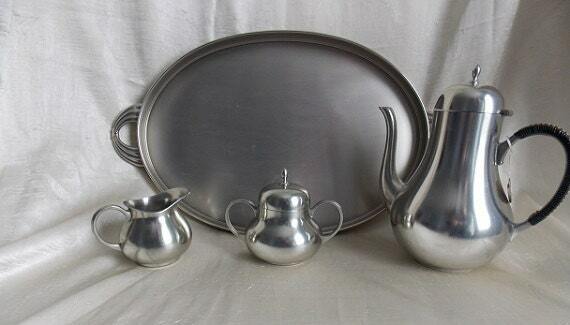 This set is in nice condition. It has a nice shine with no tarnish. The tray does have some minor scratches from normal use.